This entry was posted in Uncategorized and tagged Penny Sampler. Bookmark the permalink. 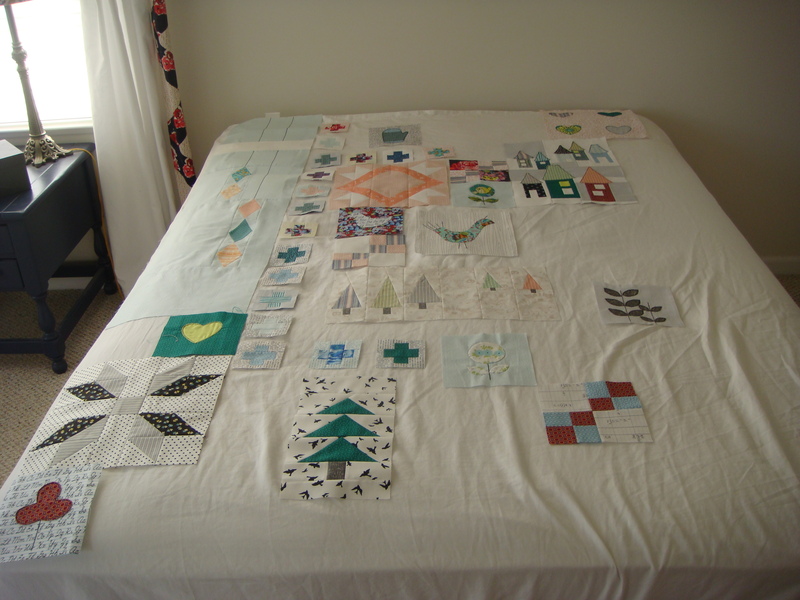 Seeing it all laid out on the bed, I’m getting an idea of the scale of this quilt. It’s going to be big! It’s really looking great. What a treasure it’s going to be! All of your blocks are lovely. I like how you put the bird fabric behind the tree. I love your diamonds! I see some Tule in there. And AMH. 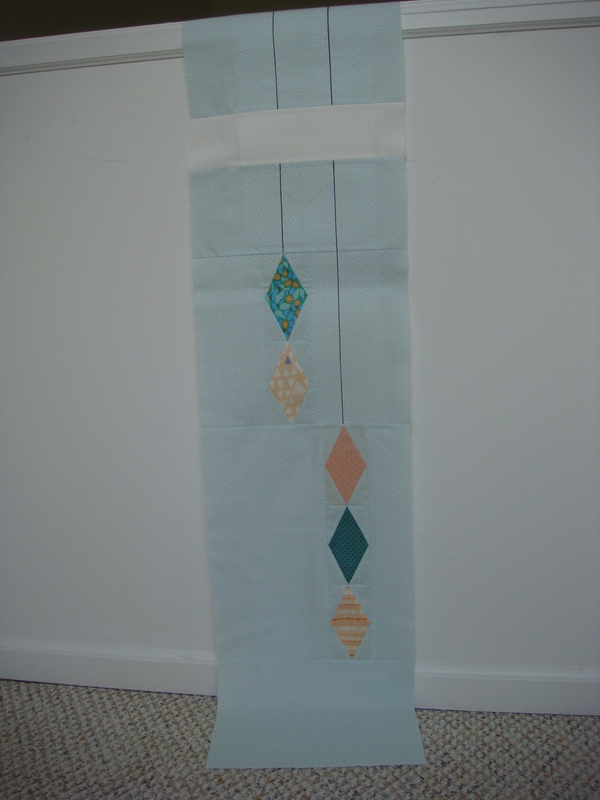 Great fabrics and great construction! 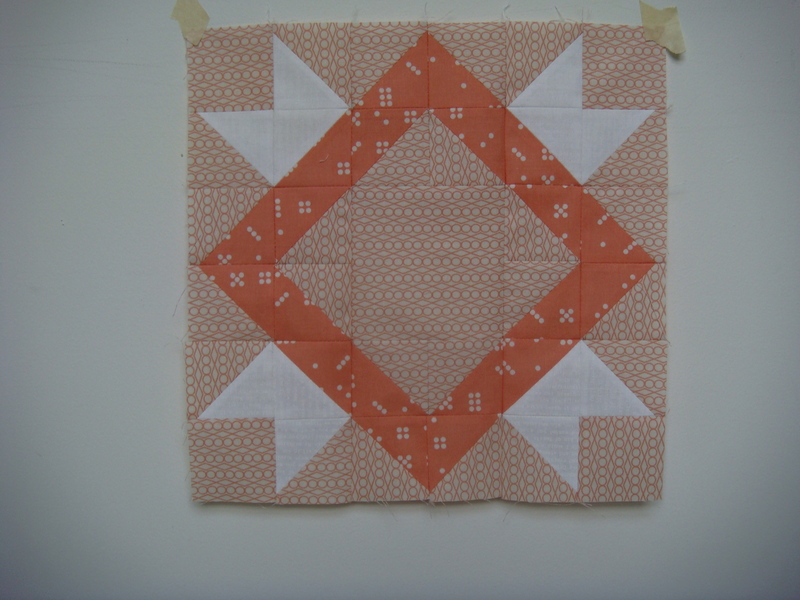 Very lovely job of putting your quilt together thus far. One more week of travel and then maybe I can START on mine! looking great Sarah! Love the new blocks! I love seeing everyone’s PS-projects popping up all over the place! Gorgeous, Sarah! You’re making so much progress! I love your it’s not fun if I have to sew it more than 2 times rule, but you’re also right that sometimes it’s worth pushing through the agony. Nice diamonds! This is looking great, can’t wait to see it all completed. your Penny Sampler looks great! I have that rule too. In general, I don’t like to redo things (and I don’t unless it’s absolutely necessary). I love how this is turning out! I don’t know if of have enough restraint to go all the way with off white backing a day I think that’s one reason I love it so! This is going to be stunning. Those diamonds sound super hard, but they look perfect! 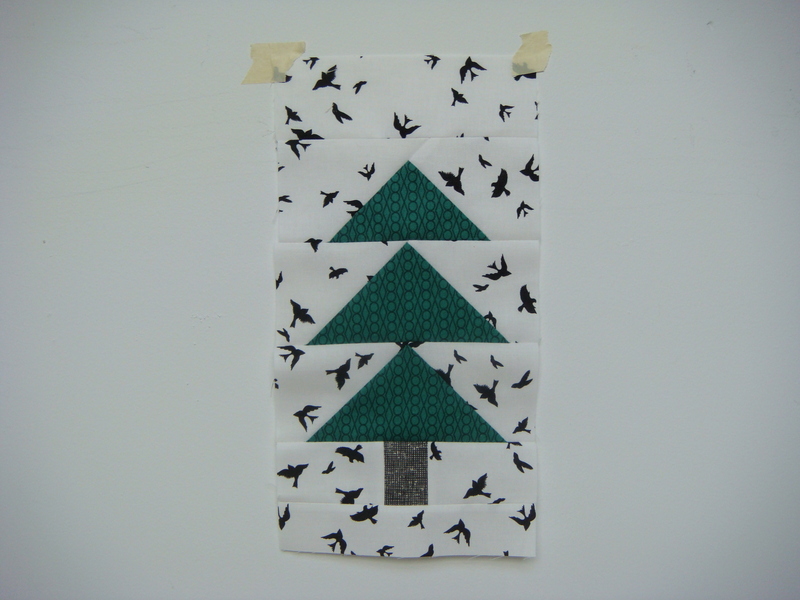 I love your use of that bird fabric with the tree. Spooky chic. 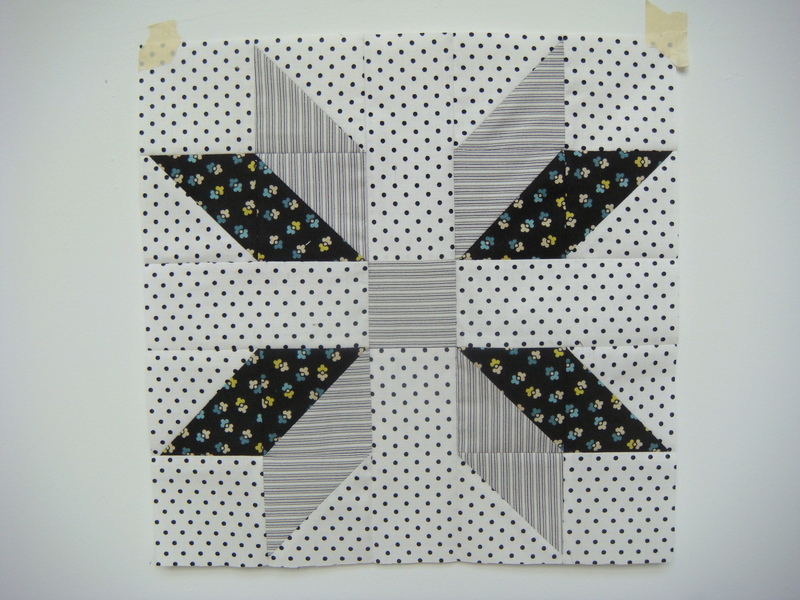 And that last block is adorable, I love the polka dots.